When a child is born with Down Syndrome, he is almost certain to have hypotonia, or low muscle tone. Remember that your muscles control your vocal chords, your ability to digest, and your capacity to cough out foreign objects from your lungs. For Malcolm, it led to rather severe aspiration. Anything he drank, some would get into his lungs and create problems. The winter after his first birthday we had to take him to the ER several times because of possible pneumonia setting in. And every time he would fight it off. His pediatrician, whom we love, simply told us that he is one tough kid. There seems to be a pain tolerance he has that I don’t. Ear infections don’t seem to bother him until they are full-blown. Pain doesn’t stop him. He gets that toughness from his mother. So , I guess that makes him a superhero. 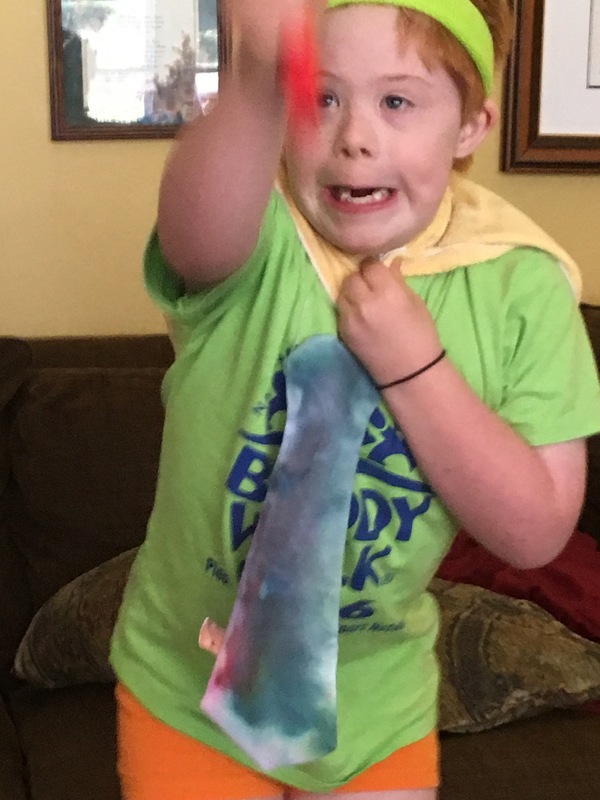 He even has a superhero outfit. It comes complete with a battle golf club. Heck, he even lets me dress like him as well. I am the side kick. Even you can be one. 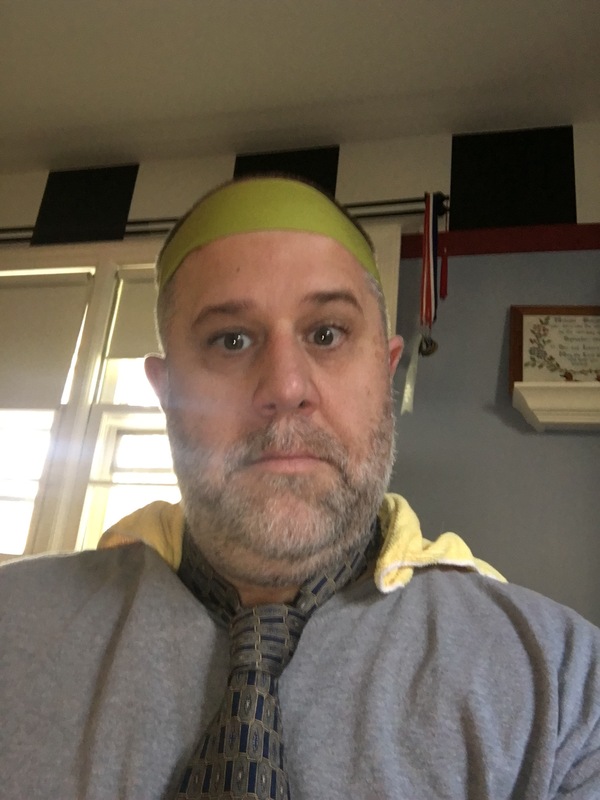 All you need is a headband, a tie (preferably one made for Father’s Day) and a used dust towel for a cape. Don’t worry, it’s not for flying. It’s for playing the Wii. 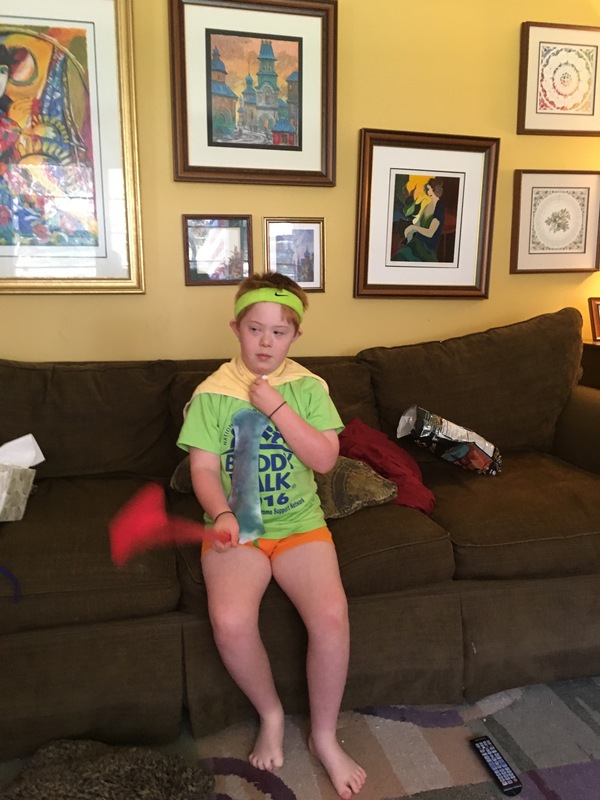 So, this morning, my superhero of a boy bites into a buffalo wing thinking it’s a chicken nugget and literally bites through and eats bone. That may not be good. And since he is still trying to get muscle tone around his vocal chords, we can not really explicitly tell us what happened. All he does is go to Mom and “spit” out what he had in his mouth. We don’t know what he actually had in his throat or stomach. So off to the ER. Brenner’s new ER for pediatric trauma was amazing with him. 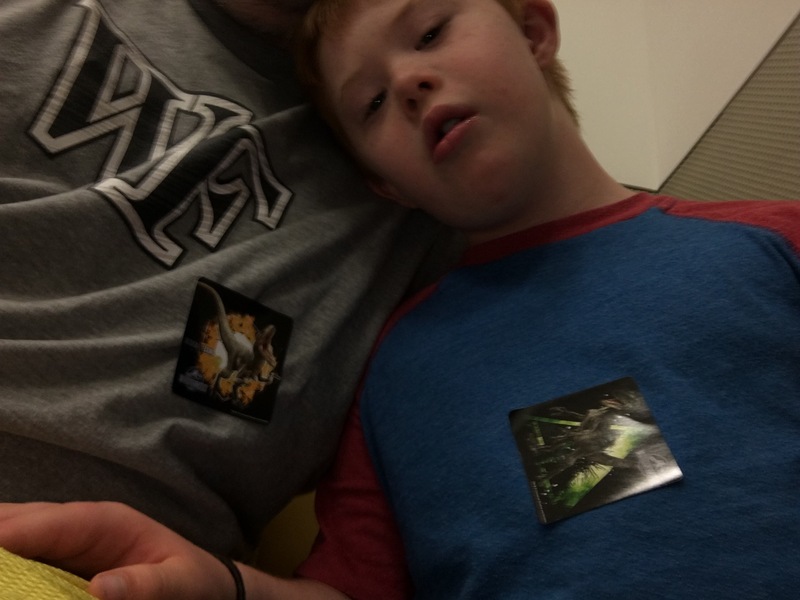 We got X-rays, got good news about Malcolm’s iron gut, and more importantly got dinosaur stickers. I got one because I am the superhero’s sidekick. Not much can take a superhero out of action. Sometimes pita chips can slow him down or coffee that is really sweet or an Ice Age movie or a Krispy Kreme doughnut. Everyone has some sort of kryptonite. But no chicken bone was stopping Malcolm. Plus we had to get home. Important things to do.